In fact, I bought the issue specifically for that pattern, only to discover, to my surprise, that the pattern isn’t included in the issue. 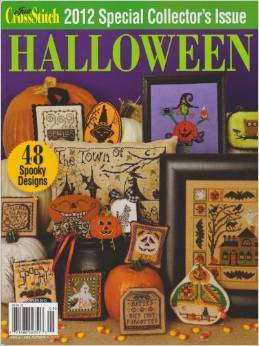 On page 62, the finished design is pictured in a group with some others from designers like La-D-Da, The Stitcherhood and JBW Designs. 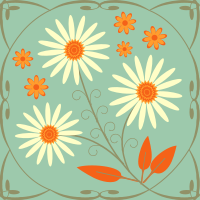 However, the actual pattern, which should have been on pages 63-69 (or thereabouts) is missing; I looked several times and kept turning the pages over and over again before I ultimately consulted the web page and saw an errata announcement. Fortunately, I printed out the pattern a couple years ago because it has subsequently disappeared from the Just Cross Stitch site without any explanation. 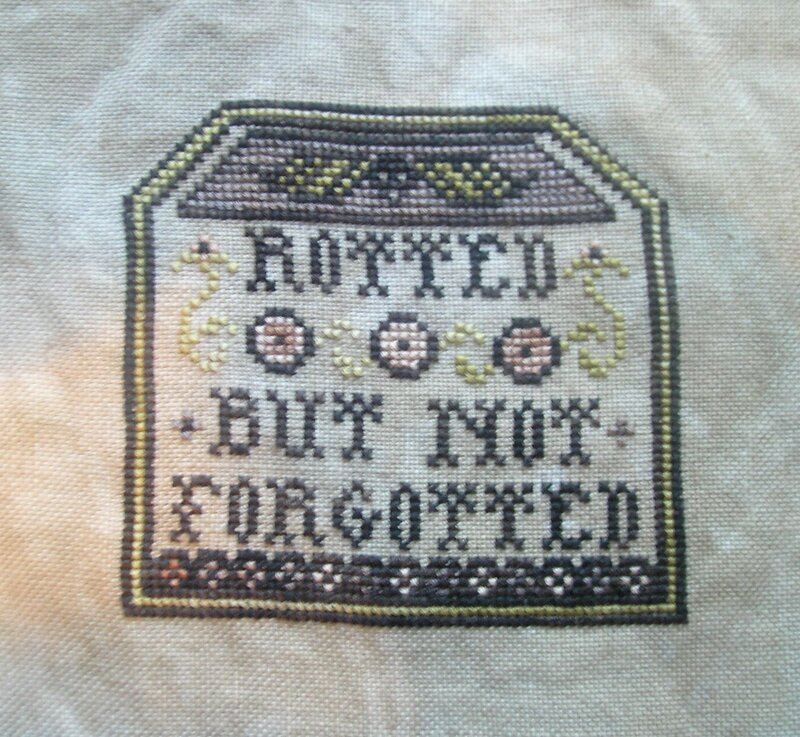 I stitched my version with Gentle Arts Sampler Threads in “Carriage Black” (the pattern calls for DMC 310, pure black), “Adobe” (light variegated salmon color), “Cornhusk” (light green) and “Banker’s Gray” (the pattern calls for “Tradewind” but I didn’t own it and didn’t feel like making a special trip to my unreliable LNS). The fabric is 32-count Vintage Country Mocha linen. I love the mottled look of this fabric and the muted color combinations which just scream of decay and aging. Speaking of decay and aging… this stitched piece is riddled with minor errors where the stitches are off by one linen thread. This is perhaps most obvious at the very top of the design between the decorative trapezoid (yeah, let’s go with that…) with the skull and wings and the dark gray outline; where there should be a full stitch between them, there’s only half-a-stitch. I really need to do something about my glasses prescription. I find it impossible to navigate between my stitching and watching TV, which I do almost always while I stitch, and I need much better light when I work on linen especially. The only cross stitch projects that are proceeding well are the Shepherd’s Bush stockings with their user-friendly 9 stitches to an inch. This season, it’s all about skulls! 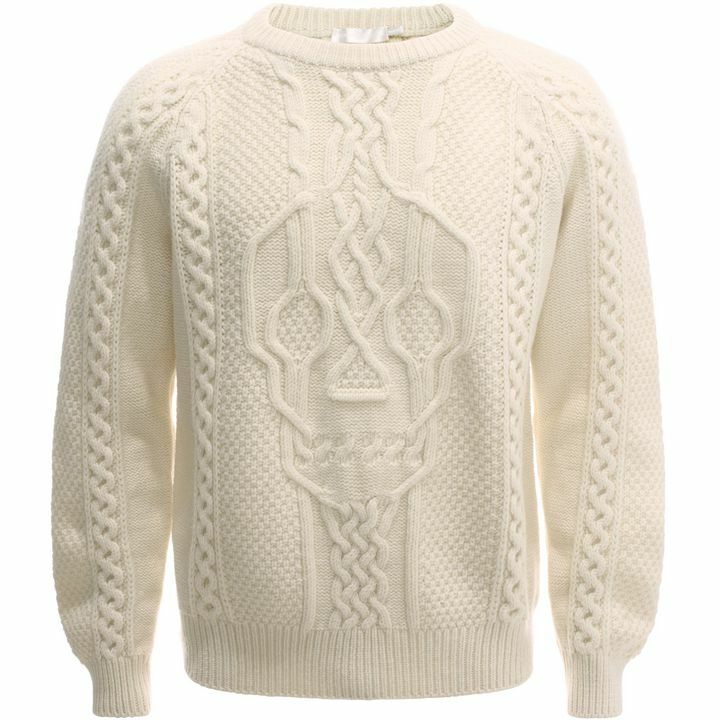 In keeping with the belated Halloween theme, from Alexander McQueen comes this Aran Skull Knit Jumper. If the $1085 tag gives you second thoughts, this stylish blogger, CreativeHandmadeCONCEPTs, has already recreated the sweater design for free. Here‘s the link on Ravelry so you can knit your own for less. While I can actually imagine a hand-knit sweater being worth that much (after you take into account the price of yarn and pay yourself a decent hourly rate to knit and finish it, it’s not that outrageous a price — and that doesn’t include the added love), I have a harder time imagining paying that much for one. But this kind of designer label pricing really drives me nuts. *Unrelated note on Google searches: When you start to put “Burns To a Mouse” into Google search, it wants to autofill the response as “Burns to pee.” Make of that what you will.